Medicine, one of the most popular and widely respected sciences in the world, is the practice of the treatment, diagnosis and the prevention of diseases. Medicine is a very vast science, and it comprises of a variety healthcare practices that have been evolving over the years to restore and to maintain health by the treatment and the prevention of diseases. The study of medicine dates back to ten thousands of years, during which it was mostly an art which had connections to philosophical and religious beliefs. In modern times however, medicine has greatly evolved and has become very much advanced. Nowadays there are systems that govern the practice of medicine and also the upbringing of medical professionals, including their training. To become a medical professional, one has to undergo a lot of training. Due to the vastness of the science and its complexity, it is expected that trainees (undergraduates) who would want to pursue a medical career, be very focused and willing to get all the knowledge. For his reason students who want to study medicine, have very high requirements asked of them by colleges and schools that offer medicine. The Chinese education system, which is ever improving has somewhat made studying medicine and pursuing a medical degree a little less difficult. The standard and quality of education in China has vastly improved. There a more medical schools now in china that enroll foreign students from all nations. They have made it easier for students who for many reasons do not get to study in their countries to study here in China. The duration of study in a medical school in China is usually six years for foreign students. Of the six years, the first five will be in China, and then the final one year, an internship year in a country of choice, usually one’s home country. 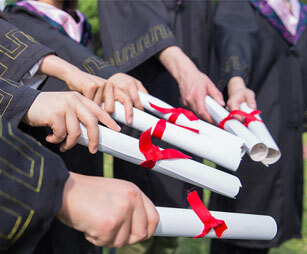 After graduation, medical schools here in china award the MBBS certificate, which is the Bachelor of Medicine, Bachelor of Surgery certificate. This is an internationally recognized certificate that is awarded upon full completion of the study period. After graduation with a bachelor's degree, the graduate has the option to further their studies to receive a masters in any medical field of choice. There are so many fields when it comes to picking a specialty, from surgery, to ophthalmology, to dentistry, gynecology and so many others.